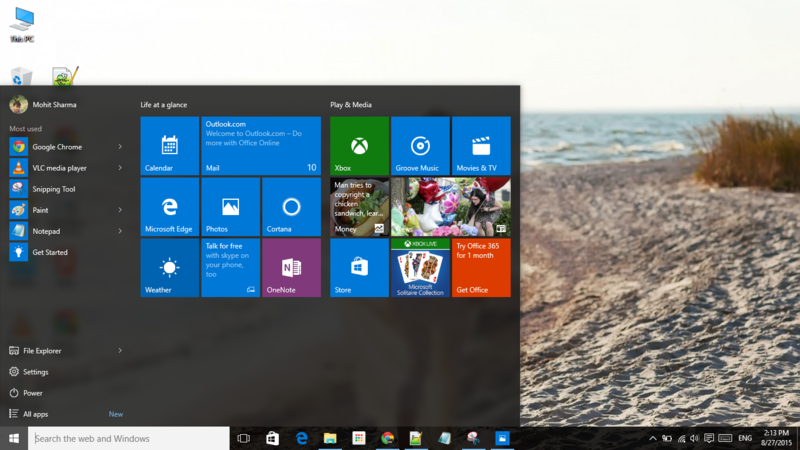 As we know Microsoft introduced its close to perfect Start menu in Windows 10. 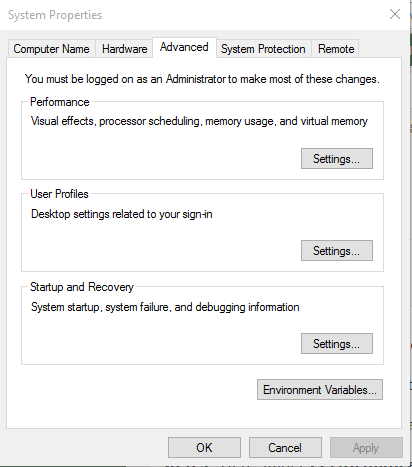 The new Start menu comprises best features of Windows 7 start menu as well as new features introduced with the previously launched Windows 8/8.1. The Start menu in Windows 10 isn’t just to launch programs apps and search your PC, it’s also capable of searching the web right from the desktop. While the start menu is near to perfect and is definitely better than its predecessors, a number of users have complaints about this new feature of Microsoft. Ever since the release of Windows 10, we’ve seen a number of users complaining that the new start menu is a bit heavy compared to the Start menu in previous versions of Windows. So today we’re here with the solution of How to make your start menu faster in Windows 10. 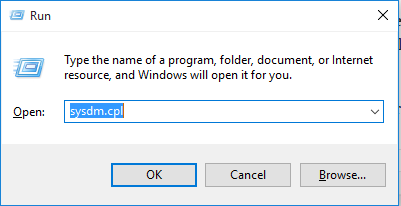 Yes, this is possible by this method that I’ve been discussed in the below article How to make your start menu faster in Windows 10 by just following the below steps. Step 1. First press together Windows key + R keys to open up the Run command box. Step 2. Now in the box, type Sysdm.cpl and then hit Enter. Step 3. Now click on to the Advanced tab. Step 4. Here, under Performance section, click Settings button. Step 5. Under the Visual Effects tab, you will see a list of visual effects for various Windows options. 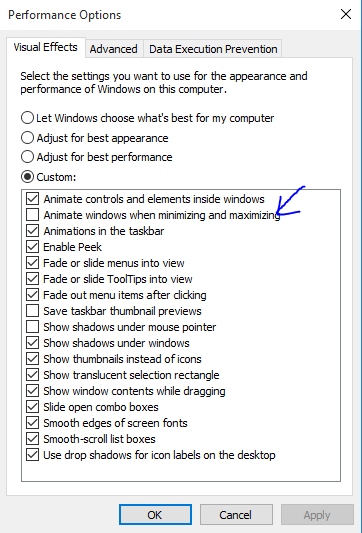 To make the Start menu open faster, uncheck the option titled Animate windows when minimizing and maximizing, and then click Apply button. Step 6. That’s it! Now click on the start button or press the windows logo key to see the faster Start menu! So above is all about How to make your start menu faster in Windows 10. Hope you like it so please don’t forget to share this post with others.